The CCRG team has now investigated whether parrots can make economic decisions, too. The birds have learned how to trade a token for food: one each for a low, medium or high-value food. The task was to choose between an instant food reward and a token that they could exchange for higher quality food. In control tasks, however, selecting a token resulted in an equal or lower payoff. 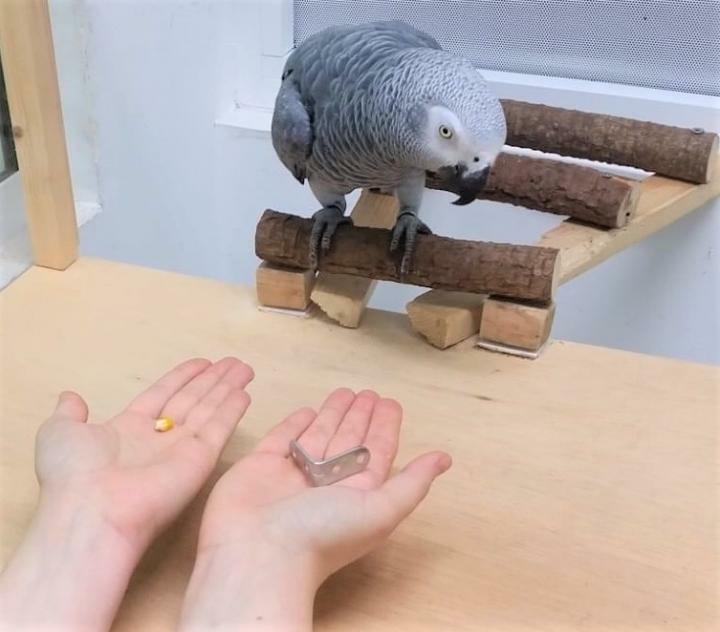 The parrots only rejected the immediate reward and chose the token, if the token's value corresponded to a higher quality food compared to that of the immediately accessible food. The results show that parrots are capable of deliberate and profit-maximizing decisions. At the same time, they provide evidence that certain motivational factors can influence decision-making, because for some individuals, the token itself had an intrinsic value that prevented them from choosing economically in control tasks. Auguste von Bayern, the leader of the research team (Comparative Cognition Group): "Given that wild parrots are so difficult to track, to date we know little about the ecological challenges most parrots encounter in their habitats in the wild, such as deciding where to go and how long to stay in a given feeding site. However, in our experimental setting we find that they are capable of making surprisingly subtle decisions so as to maximise their pay-off while minimising their effort. This is a fascinating indication that such decisions may matter greatly in their natural environment."